Conchas Lake is a 25-mile long reservoir in northeastern New Mexico, behind Conchas Dam on the Canadian River. The lake has an elevation of 4,200 feet (1309.2 meters) and a surface area of 9,600 acres. 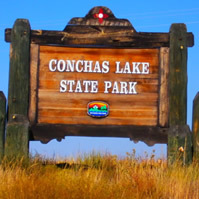 Adjacent to the lake is Conchas Lake State Park, which is divided into two separate areas, north and south. 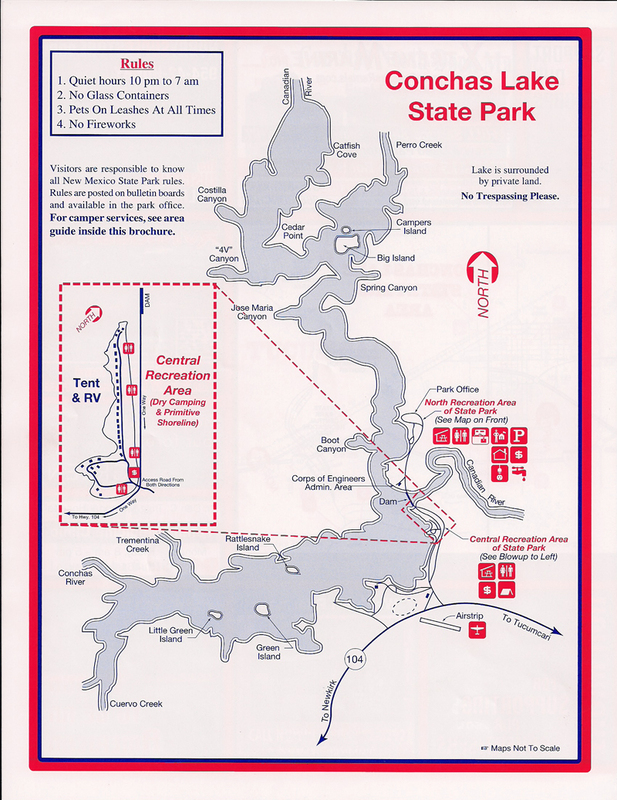 The state park has nine public boat ramps: five in the north area and four in the south area. The lake contains walleye, largemouth bass, channel catfish, bluegill, and crappie. The south area is located between the town of Conchas and Hooverville. 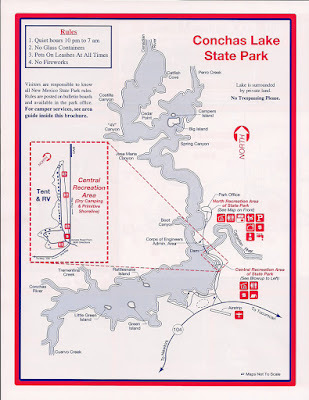 Visitors can access the lake via New Mexico State Road 104, at mile marker 75, 29 miles (47 km) northwest of Tucumcari and 75 miles (121 km) southeast of Las Vegas. Stop Aquatic Hitchhikers! Invasive mussels will devastate boats, jet skis, fisheries and recreation areas! Zebra and quagga mussels will have serious impacts on New Mexico's waters if they enter our state. They have already been found in Arizona, Colorado, Utah and Oklahoma among others. They may arrive on boats, trailers, jet skis and bait buckets.